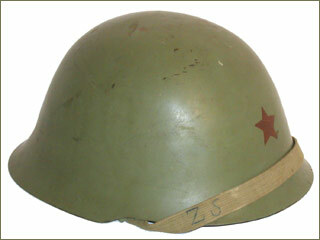 Designed by Tito’s partisan forces during World War II this helmet was first produced in 1952. It is typically found with the five-pointed red star on the front. 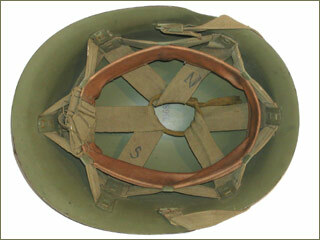 This current issue Serbian helmet was first used in the recent Civil Wars in Yugoslavia. 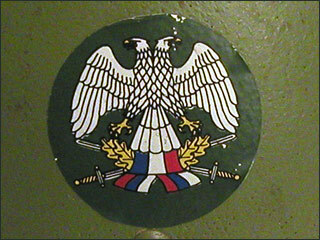 It features a decal representing Serbia. 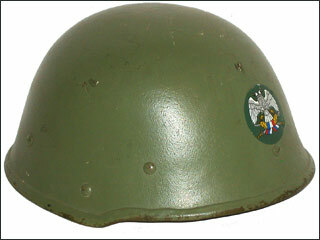 This style helmet is also currently used by the Macedonian army.